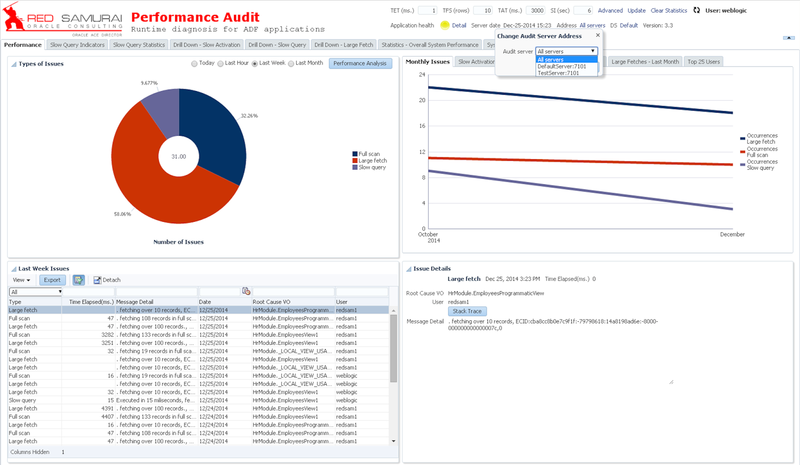 Christmas present from Red Samurai - ADF Performance Audit Tool v 3.3. 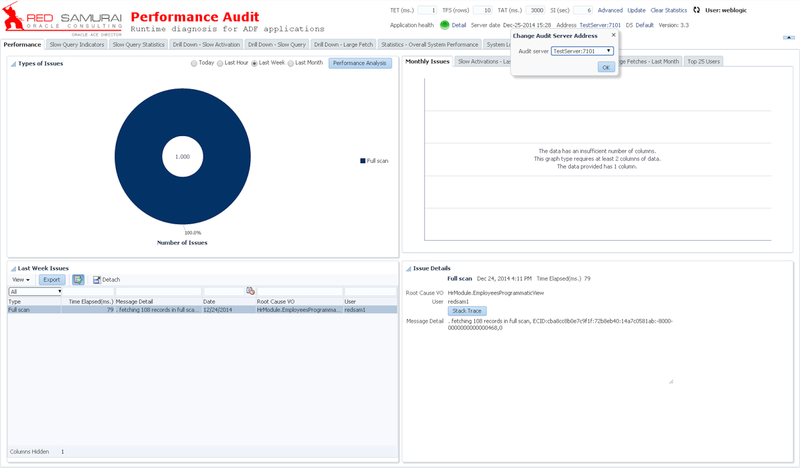 This is a next version after 3.2 (Red Samurai ADF Performance Audit Tool v 3.2 - Large Fetch and Full Scan Audit Optimizations) with a set of features improving audit process. 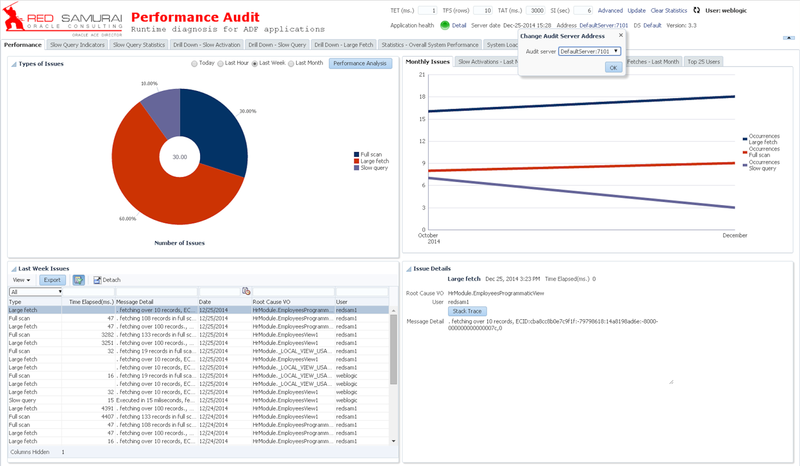 Audit is improved to log data from several WebLogic servers into the same DB schema, Audit UI dashboard allows to select data from specific server or display combined data from all of them. 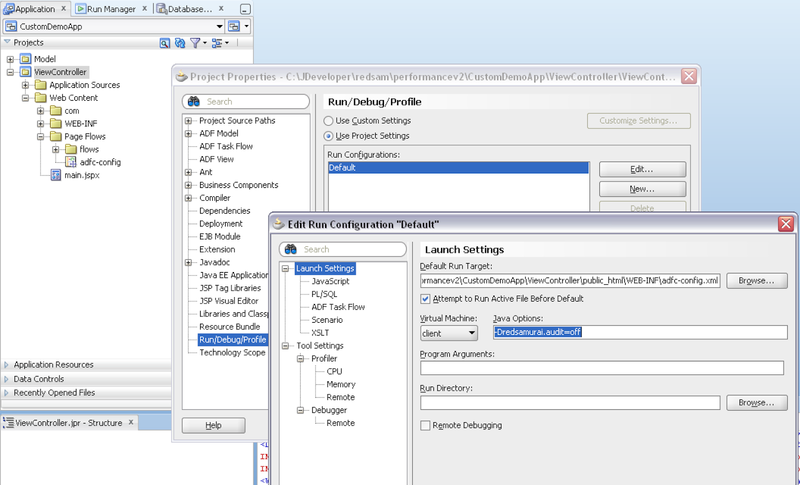 This helps when ADF application is installed in the cluster environment or different application instances are running on different servers.